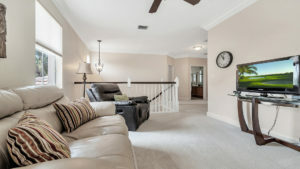 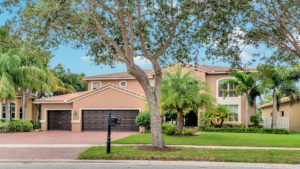 Beautiful pool home in upscale, gated community located within an excellent school zone! 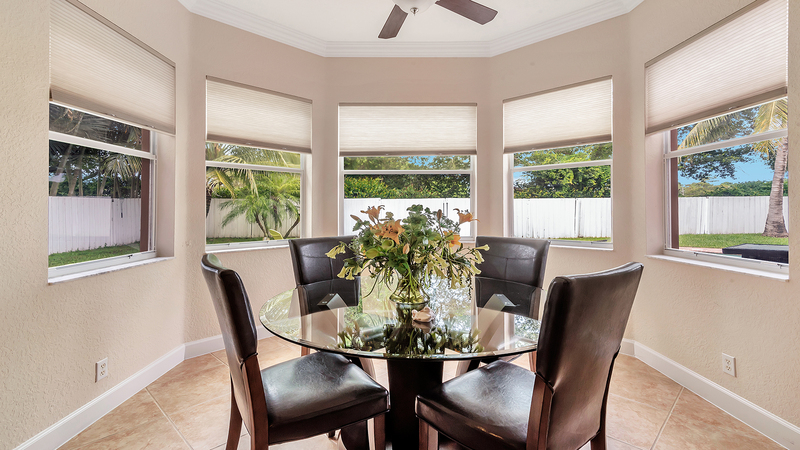 You will love the eye catching curb appeal which includes beautiful landscaping and an expansive, paver driveway. 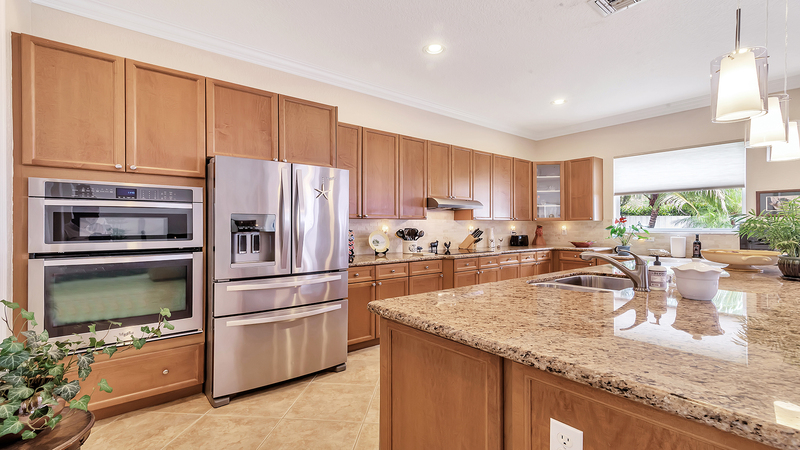 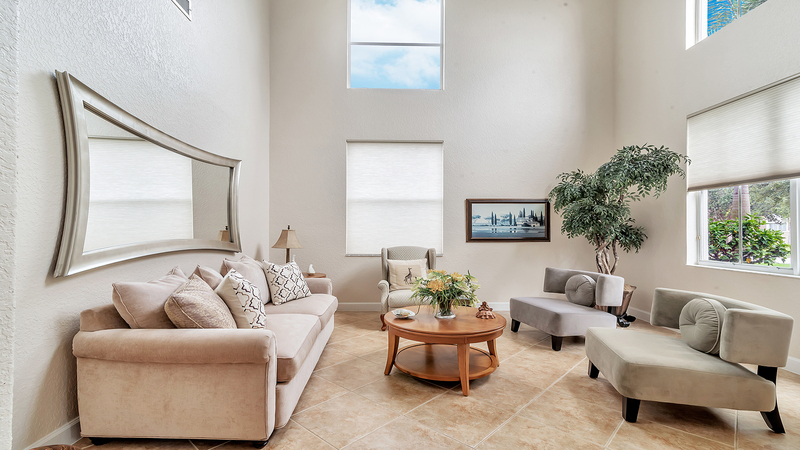 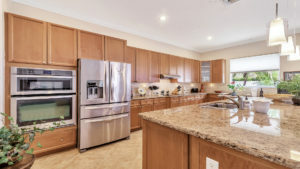 Come inside and enjoy soaring ceiling, spacious living areas with tile throughout as well as an inviting, eat-in kitchen with wood cabinetry, granite counters and newer stainless steel appliances. 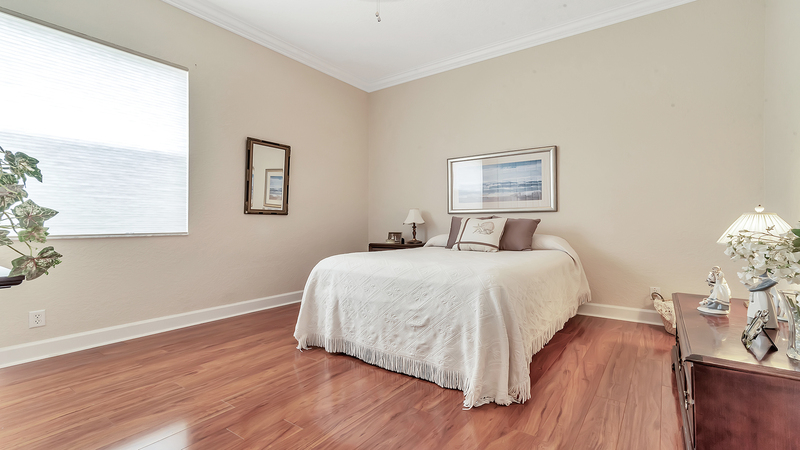 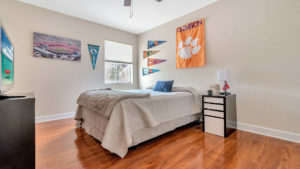 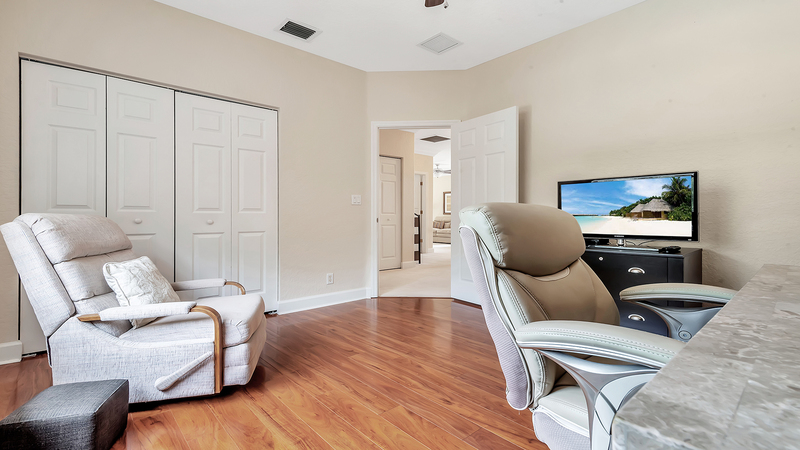 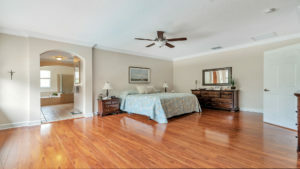 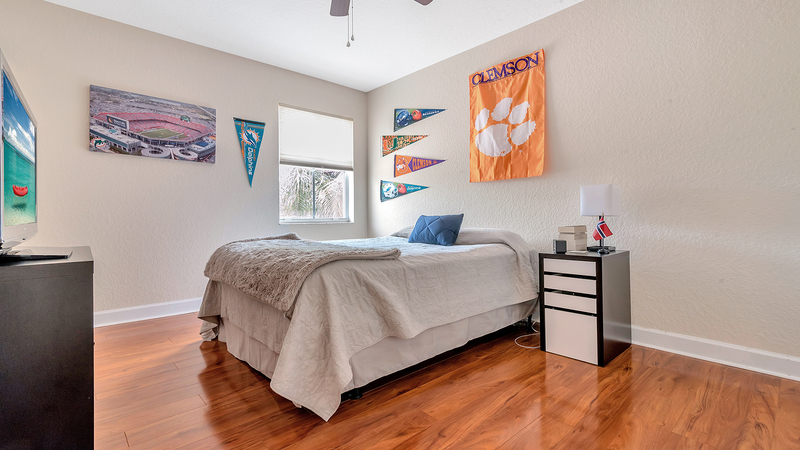 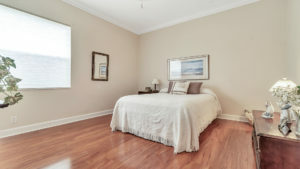 All of the bedrooms are spacious as well and feature beautiful wood flooring. 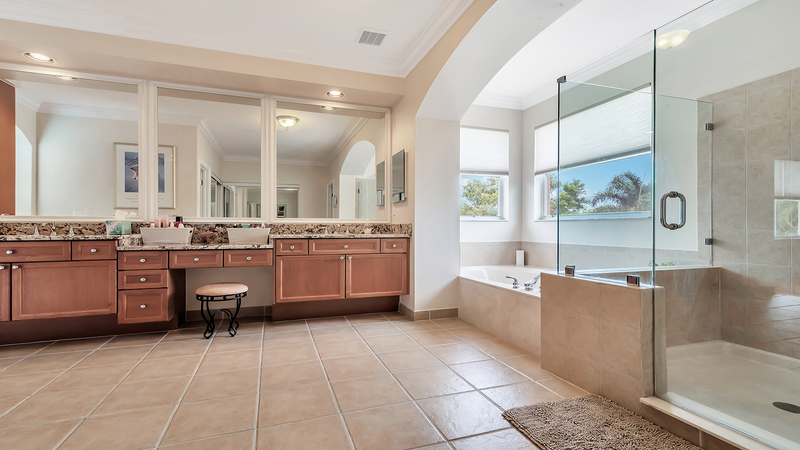 The master suite boasts a great walk-in closet and luxurious master bathroom has a Jacuzzi tub with separate shower and double sinks. 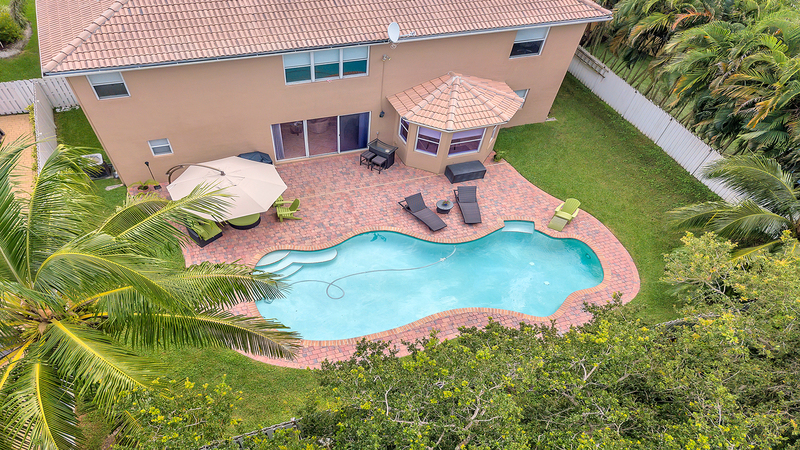 This home has wonderful outdoor living space as well with a gorgeous pool and paver patio overlooking a very private backyard with no neighbors behind you! Live the resort lifestyle in Fieldstone! 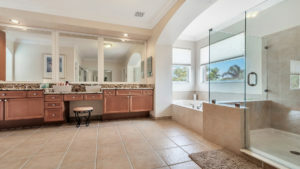 A beautifully maintained gated community with a resort style pool which is conveniently located just minutes to the Turnpike, I-95, Wellington, Downtown West Palm Beach, area beaches, 3 international airports and “A” rated public schools.